1-Day Acuvue Define lenses from Johnson & Johnson enhance the colour of your eyes by providing a defining ring round the iris, to give a brighter, more natural effect than coloured contact lenses. They are available in Natural Shimmer, for more depth and intensity, or Natural Sparkle, for a luminous brightening effect. 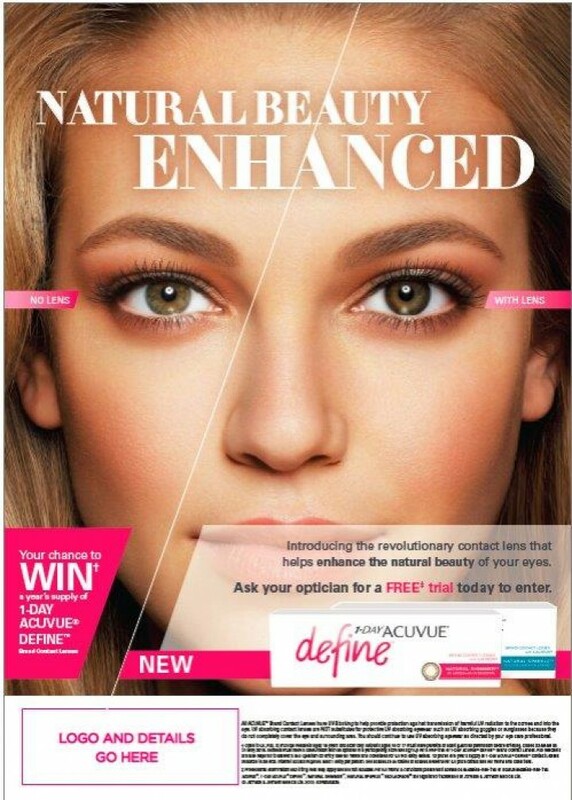 Call in to arrange a * free trial of these revolutionary lenses. * Standard contact lens fitting fee may apply.